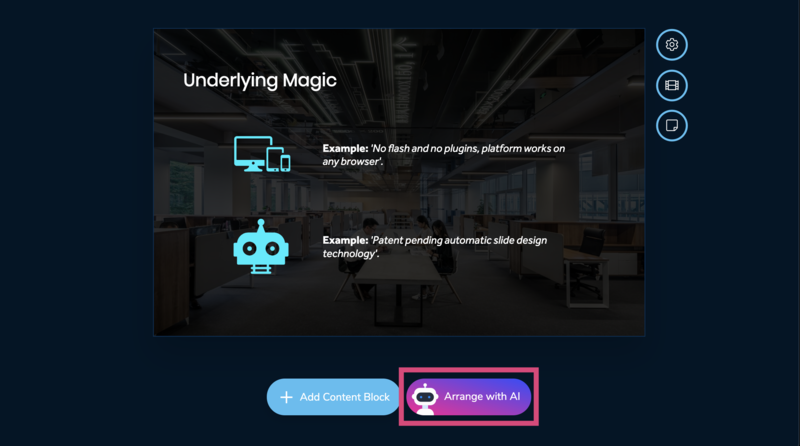 AI has arrived to Slidebean and is here to make the design of your slides even easier. You just add the content and let AI do the rest. 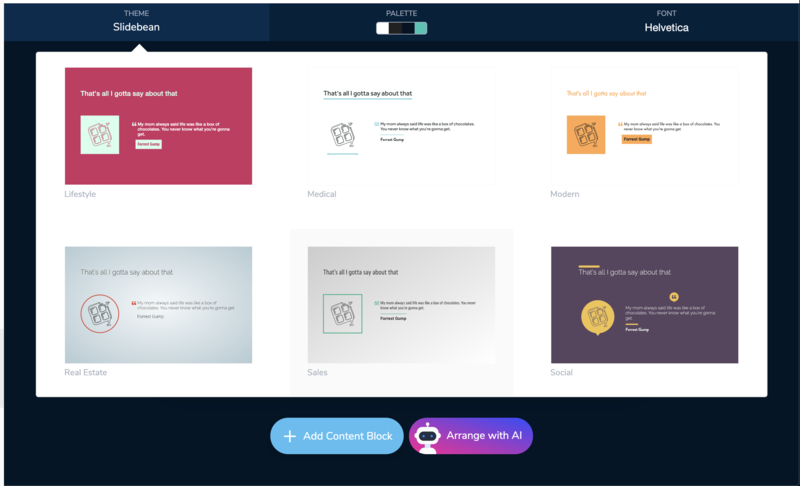 As said, Slidebean's editor is now powered by AI and it will arrange the slides automatically for you. 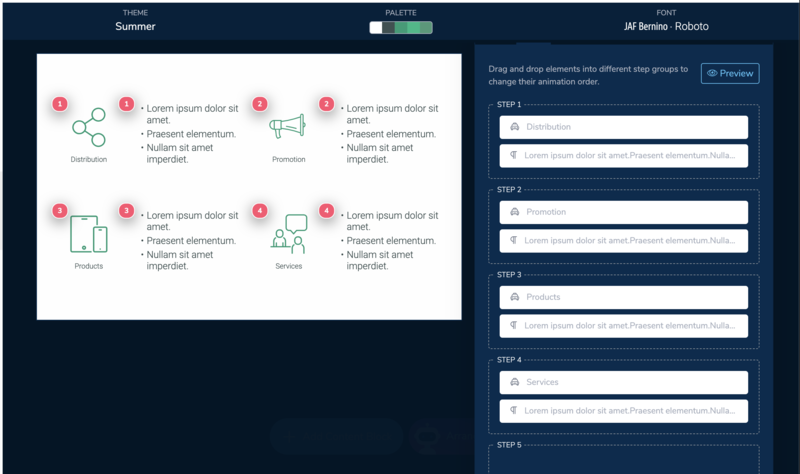 This AI engine makes design educated decisions to layout the slide as you add content. If you want to try something different, just hit the "Arrange with AI" button on the Design editor. For this, just select the words and to make your typical text edits like bold, italics or strike-through. To change text size, you'll see the default style is "Normal", click on the drop down to find more options. For Headings, you'll find some more style options. Just click on it to change the heading type or size. To find cropping styles for Images and different styles for Icons, just click on the element itself to find the panel that display its editing options. This one is simple. Slidebean Themes determine the design style, colors and fonts for your deck, and now there are more options. Just select one, to apply these settings automatically. You can also go to the Palette options to change the color combinations, as well as to select different Fonts. Now you can manually determine the sequence in which elements are shown in a slide. Find the "Animations" button next to the slide and use the Step boxes to decide what shows up first and consequently. Elements will be tagged with their number in the order. 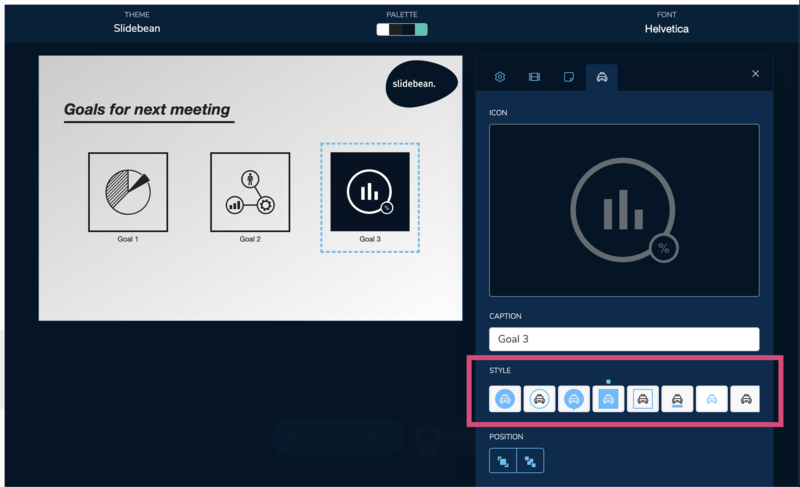 If all elements are contained in Step 1 box, the slide will show up all at once.